A gorgeous shape for a gorgeous stone. 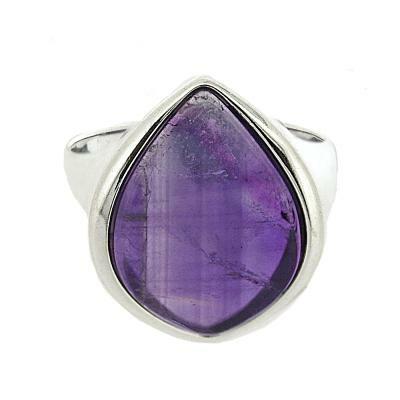 This plum shaped ring is ideal for everyday wear and will be sure to match any outfit. The width of the decorative design of the ring is 15mm, height 12mm and the depth is 10mm. The width of the band is 3mm. All measurements are approximate and measured at widest/longest point.